It fits right in with other nostalgic pieces! Good size "Coke" straw dispenser. This was and, whose whole kitchen is " Coca Cola". Looks great, just like the old days in a soda shop. Keeps straws secure.and clean. This is one of the cutest things I've seen in a while. My granddaughter will LOVE getting our straws.This will also keep the straws clean. Needed something to keep my straws in, instead of kitchen closet. Love it. I HAVE COCA COLA ITEMS COLLECTIONS ! 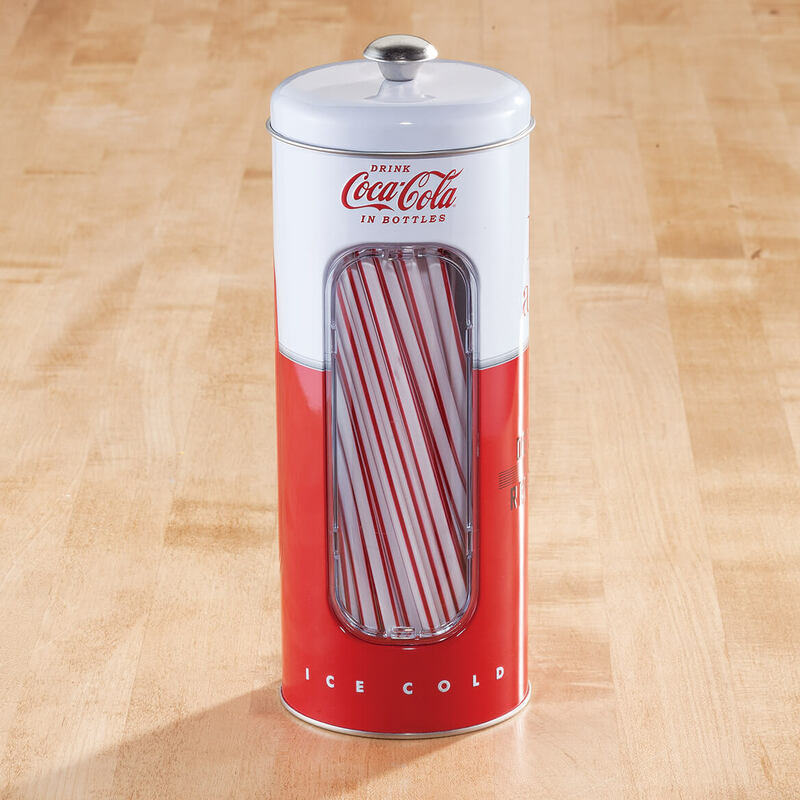 Love the nostalgic look and I can keep the straws on my counter. 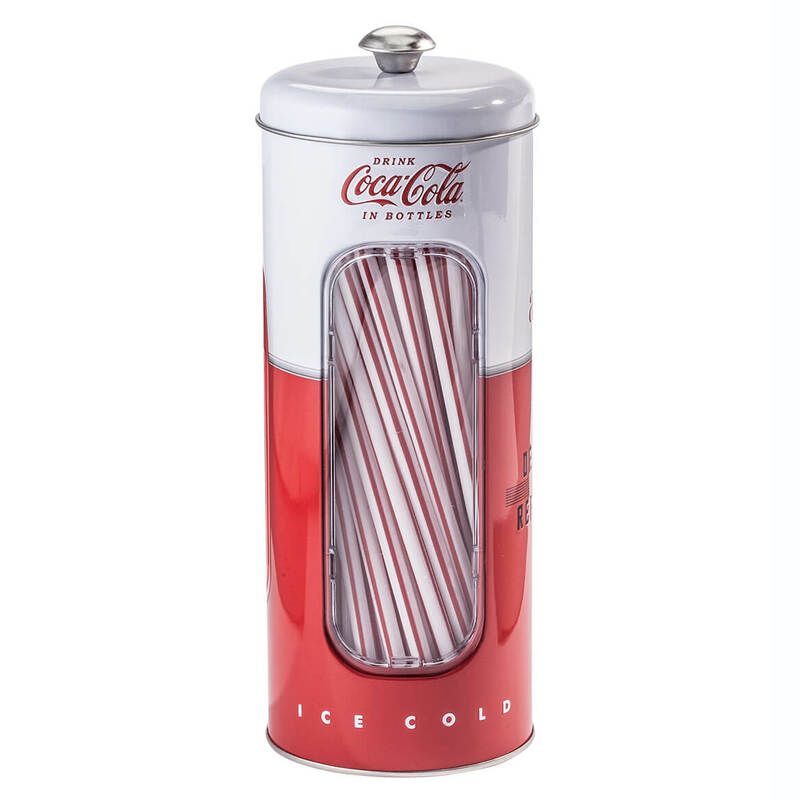 do the metal straws come with the dispenser? BEST ANSWER: Thank you for your question. The straws are plastic not metal. We hope this information will be of help to you.